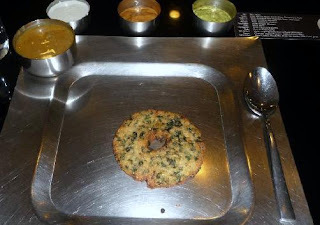 For as long as I can remember, we have eaten at ID- I enjoy their pongal, kasi halwa, and my alltime favorite is the keerai vadai. Apart from these, they also serve adai, and a MLA pesarattu which has upma stuffing. 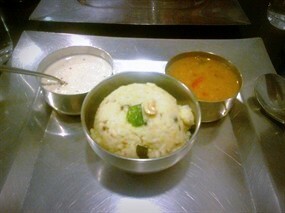 I love the chutneys they give, white coconut chutney, tomato-red chilli chutney and ofcourse the piping hot sambar. I have been here so many times that the staff know me by face. I have also visited their outlet in other malls and find the quality to be just as good! 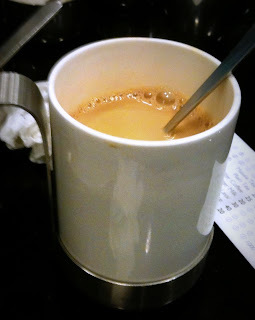 The most recent being a visit to Forum Mall where a friend wanted to grab a cup of kaapi when her son insisted he wanted idiyappam. He ate them plain and devoured them, which is a sign that the food is good. It is such a saving grace for movie goers and morning movie watchers like me and my group of friends! A big thumbs up for ID and Sathyam Cinemas!